Cannabis reform is quickly sweeping across the U.S. Ten states and Washington, DC have now legalized marijuana for recreational use. In addition, a total of 33 states have legalized it for medicinal use. Now, it appears more states are jumping on the cannabis bandwagon, including West Virginia, New Mexico, Minnesota, Wyoming, South Carolina, Kentucky, and Connecticut. However, that's just one key catalyst for the future growth of cannabis. The other big catalyst is corporate America, which is strengthening its portfolio by diversifying with cannabis-based products. For example, Constellation Brands partnered with Canopy Growth Corporation. Molson Coors teamed with HEXO Corporation. Even New Age Beverages is now producing and distributing a new line of Marley+CBD drinks, including Mellow Mood, a relaxation tea with CBD. However, this is just the start to a greater story, which New Age Beverages CEO, Brent Willis refers to as, "One of the biggest opportunities to hit the consumer goods industry in years." 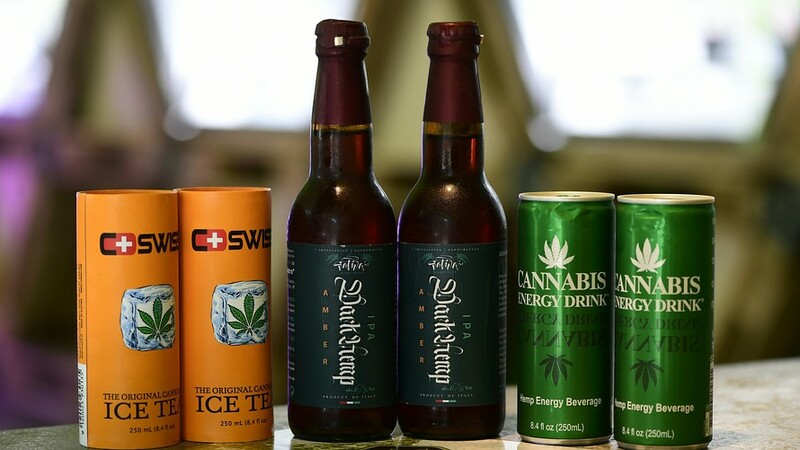 Other top companies to watch in a potential $260 million cannabis-infused beverage market, include The Yield Growth Corporation ( CSE:BOSS ) ( OTCQB:BOSQF ), HEXO Corporation ( TSX:HEXO ) ( OTC:HYYDF ), Canopy Growth Corporation ( NYSE:CGC ), and Tilray Inc. ( NASDAQ:TLRY ). The Yield Growth Corporation's (BOSS) (BOSQF) hemp-based wellness brands are already disrupting wellness, makeup leisure, and now the cannabis-infused beverage market. In fact, the company just completed the acquisition of eight wellness beverage formulas infused with CBD and THC, in addition to a capsule that can treat hangovers. "We are excited to move forward with the development of our CBD and THC infused beverages as these products are expected to be fully legal in Canada within the year," says Penny Green, Yield Growth President and CEO, "we are now in discussions with several licensed cannabis processors in Canada to manufacture our cannabis products and we are also in talks with hemp farmers and licensed cannabis cultivators to source CBD and THC for our products." Canopy Growth (CGC) attracted interest from Constellation Brands, as well. In fact, Constellation increased its stake in Canopy Growth by $4 billion. Constellation's investment in Canopy Growth, the biggest known deal in the marijuana industry, shows just how far traditional alcoholic beverage companies are willing to go to find growth. "We believe the emerging cannabis space represents one of the most significant global growth opportunities of the next decade, and frankly, our life time," said CEO Bill Newlands. "An opportunity that is opening up much more rapidly than originally anticipated." HEXO Corporation (HEXO) is in a joint venture with heavyweight, Molson Coors to create non-alcoholic, cannabis-infused drinks, as well. "Canada is breaking new ground in the cannabis sector and, as one of the country's leading beverage companies, Molson Coors Canada has a unique opportunity to participate in this exciting and rapidly expanding consumer segment," said Frederic Landtmeters, president and CEO of Molson Coors Canada. Tilray Inc. (TLRY) partnered with the world's largest brewers, Anheuser-Busch InBev, in a $100-millionjoint venture to research cannabis-infused nonalcoholic drinks, as well. The research partnership combines AB InBev's deep experience in beverages with Tilray's expertise in cannabis products. 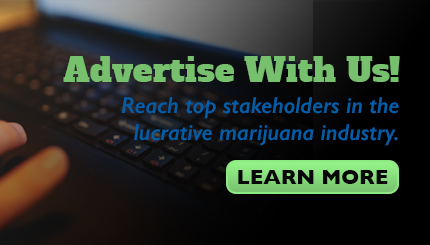 AB InBev's participation will be through its subsidiary Labatt Breweries of Canada, one of the country's founding businesses and its leading brewery, and Tilray's participation will be through its Canadian adult-use cannabis subsidiary High Park Company, which develops, sells, and distributes a portfolio of socially responsible cannabis brands and products in Canada.